We can differentiate between primary and secondary headaches. Primary pain can be a tense migraine where we can’t identify the cause. Secondary pain is caused by a specific disease or disorder and can be associated with the brain, infectious diseases or hypertension. At HillVital, we have created a natural therapy for headache and migraine treatment that stands out among other alternatives. It is based on a multi herbal base with high concentration of natural analgesics. Helps with headache without harmful chemicals, colourants, perfumes. Avoid taking pills which don’t help. 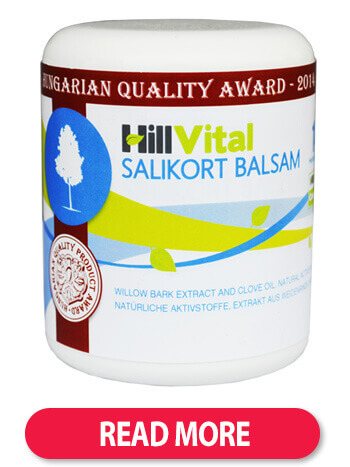 The uniquely developed natural formula of Salikort cream targets various types of pain. Herbal formula is based on highly concentrated doses of natural analgesics and herbal extracts to help you regain lost comfort. Cal mag + D3 can be exceptionally useful in relieving chronic headaches. They can eliminate a sudden, intense or dull pain. How? The minerals calcium and magnesium, together with vitamin D, create a powerful force to get rid of migraine. Swap taking heavy pills for the effective and safe Ginkgo Biloba. 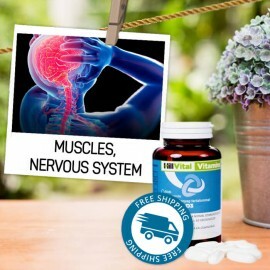 Ginkgo Biloba from HillVital is offered in its purest form and helps improve blood circulation and brain function. Ginkgo Biloba has a powerful effect and is a great choice for permanent elimination of a headache. Recommended for chronic headaches. For complex treatment that targets elimination of a headache, try our herbal tea blends: Tea Relax or Tea Komplet. These herbal teas complete our herbal therapy. They wash out toxins, have detoxifying effects and soothe the nervous system. 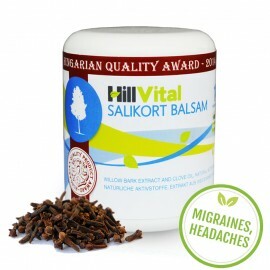 Sourced and formulated from plant based natural ingredients, HillVItal products help provide effective relief from headache. 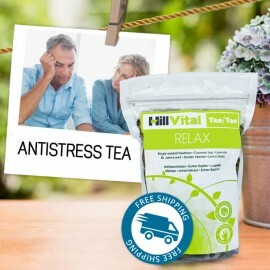 Targets headaches For primary headache (migraines, tense headaches) For secondary headac..
HillVital Tea KOMPLET - gastric tea, natural immunity booster. 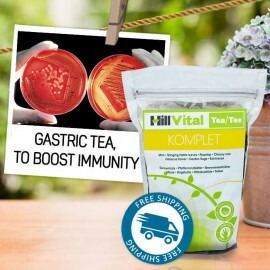 Natural Tea Komplet is made of 6..
Herbal tea for stomach problems and boosting immunity. Combination of 6 properly selected herbs help with stomach and intestine problems, supports recovery, and also boosts immunity. 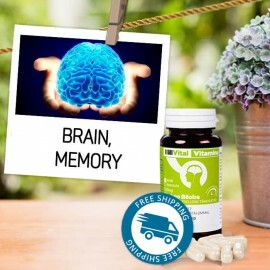 Everyday mental support Ginkgo biloba has been used in China since ancient times, especia..
A unique preparation for proper functioning of the brain and circulatory system, blood flow and supply of nutrients to the cells. Ginkgo Biloba's antioxidant properties have been known for centuries. 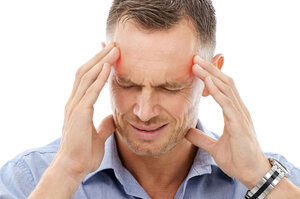 Any type of headache can signal a serious problem, and thorough neurological examination is recommended to discover the cause of ongoing or repetitive headache. An expert will monitor the reactions of the patient such as his or her orientation ability but also limb functions, muscle sensitivity and movement coordination. Eyes and retinas are checked as well as the size of eyes, symmetry and vision. Based on an objective examination by the doctor and his or her conclusions, we can indicate whether experienced pain is of primary or secondary character. Primary headache (migraine) is of unknown origin. Migraines are the most common types of headaches and are associated with tiredness and dull pain. Migraines can last a couple hours and be triggered by stress and tension. When experienced for a long time, they can create depression, insomnia or anxiety. Histamine headache is intense, one sided and comes at night. This type of headache is rare and affects mostly men. Only .5% of headaches is of a histamine character. Secondary headache signals the presence of a serious condition and acts as a symptom. Such pains can be caused by injuries, brain diseases, tumors, sinus infections or the flu. How to eliminate a headache? Do you know how to overcome a headache with home made remedies? Try a warm compression If you are experiencing intense headaches and if the pain is shooting up from the neck. Use a cold compress for your eyes and forehead. Massaging the temples with an effective gel can also help. Coffee lovers should drink a cup of coffee. Caffeine has the ability to stop the formation of an enzyme associated with headaches. Some experts claim that improper breathing can easily cause a headache. Focus on breathing when you experience a headache. It will increase the supply of oxygen in the veins and lessen the intensity of experienced pain.